Keynote for Commerce and Engineering Sustainability Conference at Queens University in Kingston Ontario, Canada. Before I get started I just wanted to say that we are in first nations territory and I just wanted to say thanks for taking care of this land for thousands of years. That's actually how David Suzuki started the world wind energy conference in 2008, which actually was held here in Kingston. 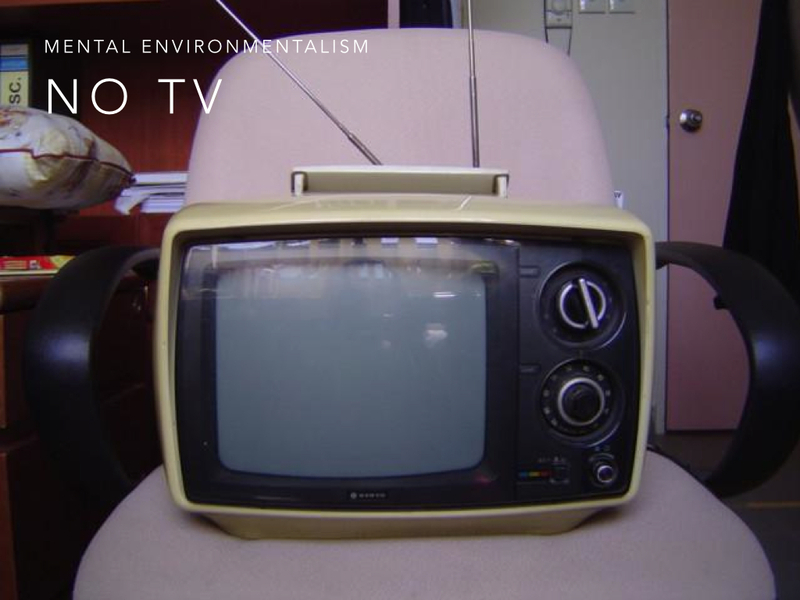 It was a pivotal moment in the transformation of Ontario towards becoming a sustainable society. That's the moment when Hermann Scheer came from Germany and presented an incredible case for the move to one hundred percent renewable energy in a very forceful way. 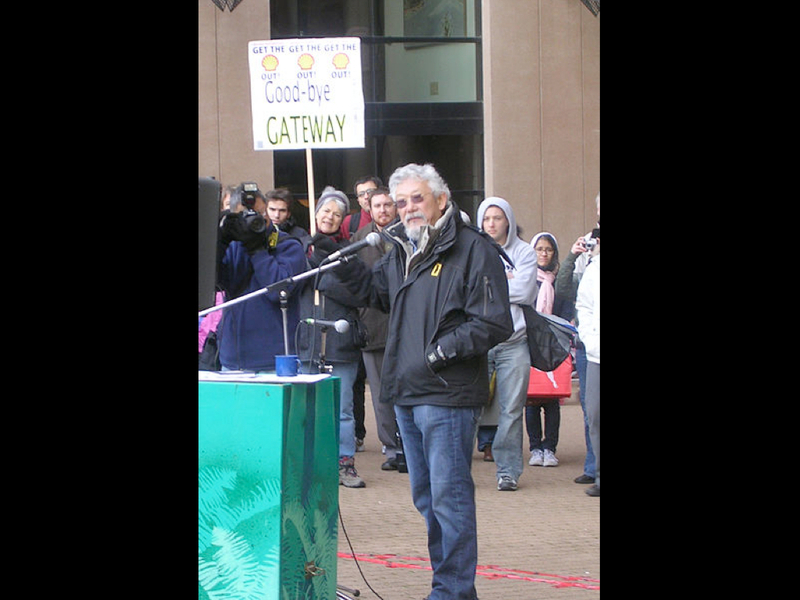 As well, David Suzuki was there and the newly minted Minister of Energy, George Smitherman. They connected and Scheer took Smitherman to Germany, showed them what they were doing there and brought that back and the feed-in tariff was the result. A lot of the talks we heard were about Zoo Share and Solar Share which is a part of that program. So it is incredible to see the transformation that this process started hear in Kingston about five years ago. So I am going to walk you through the involvement I've had in all of this over the years and this is really a personal thing. 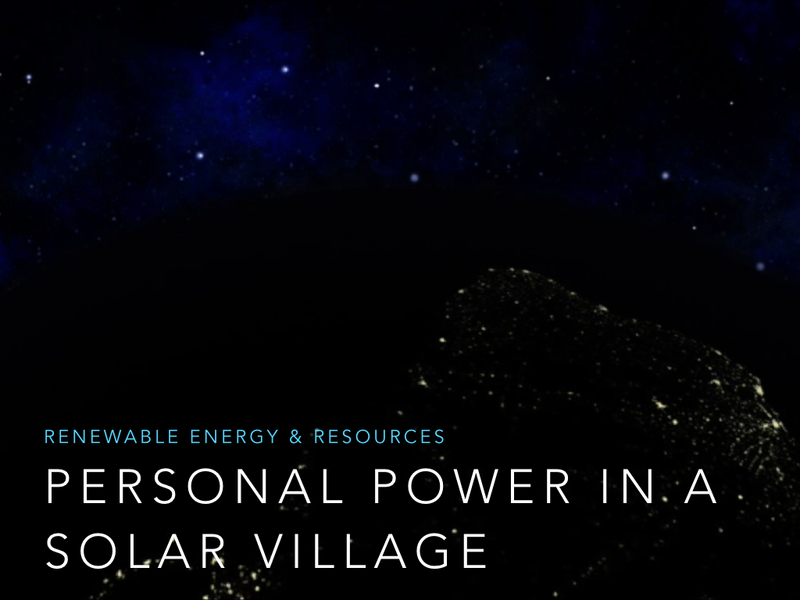 This is about you and me, and what we can actually do to create what I see as and I call the solar village. So that's what I am going to talk about, all of the real, tangible things that you and I can do starting right away. 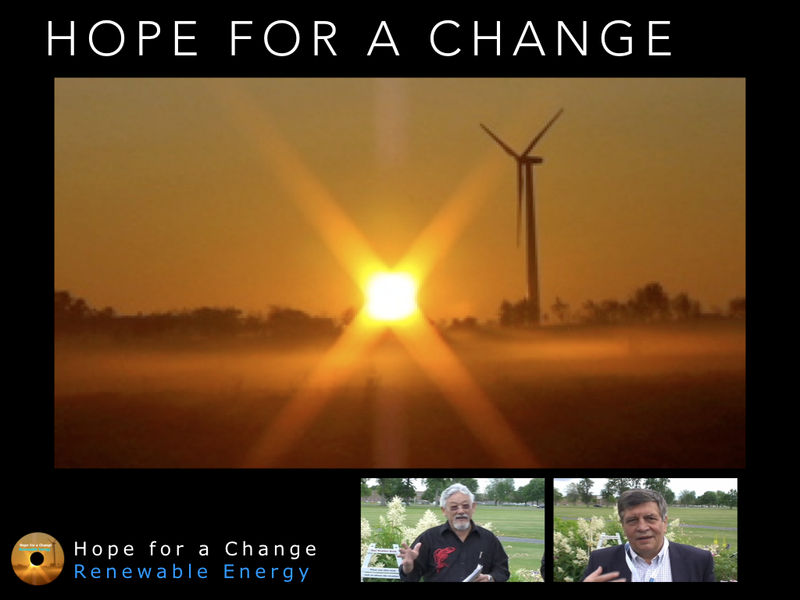 This video, that introduces the talk, is part of my documentary called Hope for a Change Renewable Energy. It is the earth obviously rotating during the night and a sunrise occurring over the horizon. I find it an incredibly inspiring vision, and it shows us how wonderfully beautiful our earth is. It's a little island in space and it is a beautiful thing that we are the caretakers of. We are the ones responsible and this is a pivotal time we are in. We are the generation that has to make the change to one hundred percent renewable energy, but also we have to close the loop on all resource cycles and we must do it in a very short period of time. At the conference in 2008 Hermann Scheer said we had twenty years maybe thirty years to make these changes. So it is extremely urgent. You can see that the earth is a closed system. There is earth, the soil. There is the air, and it is finite. All of the resources on earth are finite. We have to find ways to close all of the loops on those resources. The one magical thing that is not finite is solar energy, that is sunlight, which comes in every day and gives us limitless solar energy and renewable energy that we simply have to find a way to harvest. There was a famous Canadian philosopher Marshall McLuhan, he called this the global village, he called it a simultaneous happening. I believe that is somewhat true. That certainly with the Internet and wireless communication which I play a part in there is an incredible ability for all us through our actions and our communication to actually share things what we do so that everybody around the world can understand what's possible with renewable energy and closed loop cycles on our resources. We have incredible potential. But, globalization as it has kind of come about has caused problems. That is an area we need to work on. That's why the way I like to think of this world is a new vision for this earth in space that we are looking at and I call it a solar village. We are all one community. The earth is one place. People all over the world are the same. We have to work together as one community to solve the problems and achieve one hundred percent renewable energy and closed loop resource usage. Where did I get these ideas? It is pretty obvious nowadays, but when I was going to University at Carlton in Ottawa, I had the great opportunity to hear David Suzuki give an incredible speech about environmentalism, about the need to take care of the resources and nature that was all around us. He also said something that really stuck with me and that was, he described how the jobs you all will go and take on after University, they make a huge difference in society. The things that you do are extremely impactful. He described a situation where engineers, there's many of you here, if you become let's say a nuclear engineer and you start designing in a very high paying job, nuclear missiles. What are the implications of that design? What are your responsibilities if that nuclear missile is used in a war at some point? What is your responsibility for the catastrophic casualties that a massive nuclear explosion might cause? That really stuck in my mind, that what we do with our careers matters a lot and we have to take responsibility for everything that we do. We have to think about that very hard. It is not so easy to do that, but that idea stuck in my mind. I then got accepted into engineering at the University of Toronto. I was following in my father's footsteps of, or wanting the lifestyle that he had, not quite knowing what I actually wanted to do with my life. That's something we have to ask ourselves. It was one I was asking in University. What am I doing? Why am I here? What is it that I am going to do in my life that is important? You know university is the time to start figuring that out. 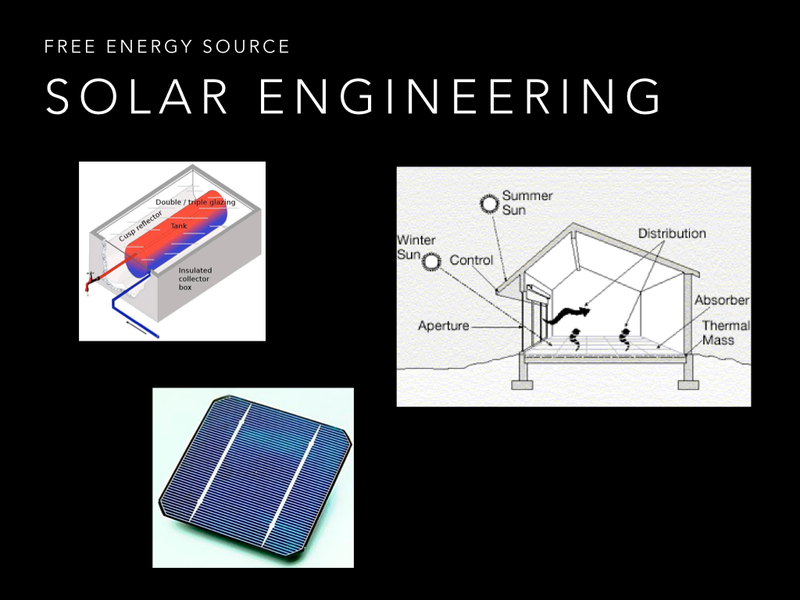 I was in civil engineering and I was fascinated by this idea of solar engineering. 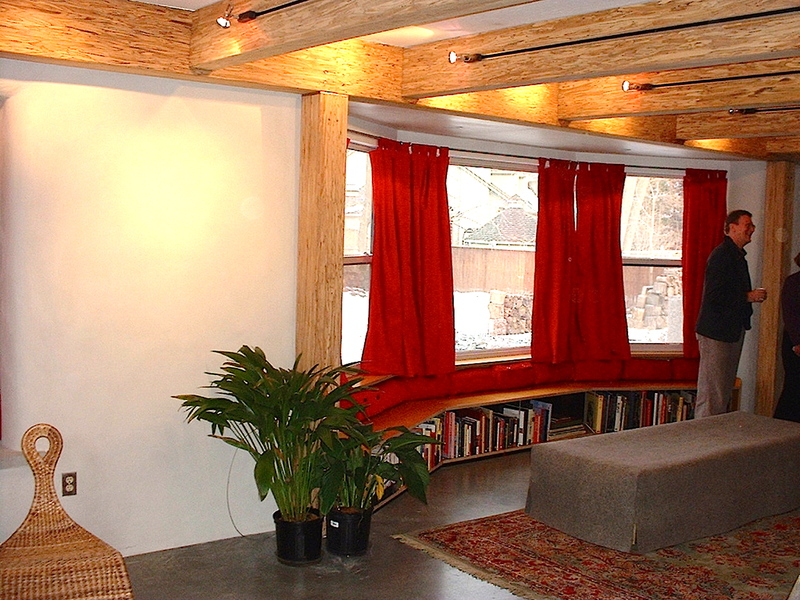 I started reading books about passive solar houses that required no fossil fuels for heating the houses. There were hot water heating systems that were able to create hot water from sunlight. These were something that I'd actually grown up with in Cyprus, Haiti and Dominican Republic when I was young. I'd seen them on millions of houses but they weren't here in North America, and I didn't understand why. I thought they were so amazing because they were free energy. One of the most amazing things was these solar calulators. 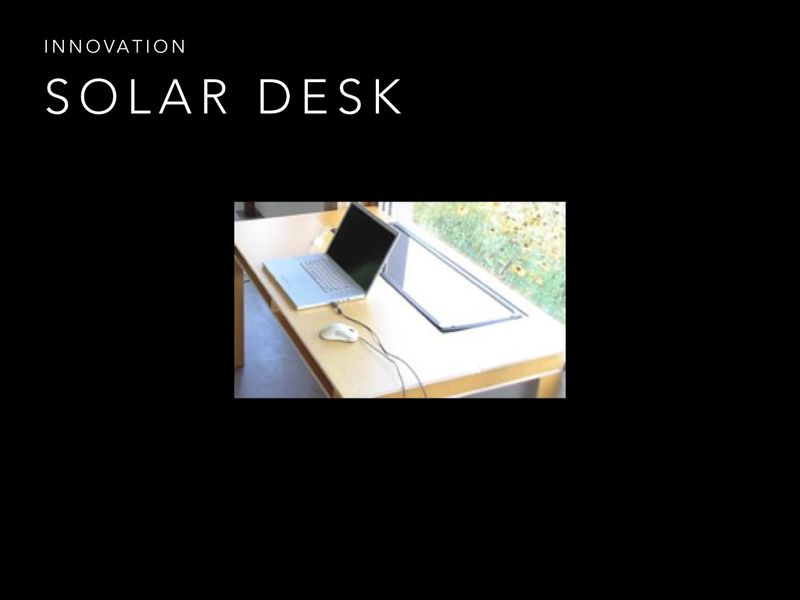 These little photovoltaic cells that would convert sunlight directly into electricity. I thought that's magic, that's genius, that's biomimicry, that's looking at nature and learning from nature what we can do to do things in a very sustainable and in a safe way. I was fascinated by this but I did not get any courses in this in engineering. There was no solar engineering course. So I was somewhat frustrated, and in the end I was doing it for the wrong reasons, and I ended up actually failing out of engineering at U of T. Fortunately, my brother was an entrepreneur and he was starting a publishing business. So we ran a publishing business. We were actually incredibly successful. I was about nineteen, twenty years old and we were making a lot of money. Checks were flying in the door as we were selling magazines and this was during the desktop publishing revolution. I was interviewed by small business magazine with pictures in there and I thought, I'm a big shot, I am going to be somebody really important. I'm a business person. I started to believe that. I put up a big picture in my office of a Porsche, a red Porschee 911 turbo. I thought, man, this is cool, this is going to be amazing. The next year I said let's go for it. We advertised everywhere. We put all our money into all kinds of things and cash flow was a problem. We ran out of money. We didn't study business in school. We were learning everything the hard way. What happened was we didn't quite go bankrupt. We sold the company to some guys in California. They bailed us out. I owed about thirty thousand dollars. I was about twenty years old and I had just flunked out of University, and I had just failed, after two years in the business. I am thinking what the hell am I doing with my life. What was the meaning of all this? I started to read a lot. I started to try to ask those questions, what is the purpose of my life? One of books I came across was one an autobiography by Mahatma Gandhi. It has an interesting title, it is called My Experiments with Truth. I would highly recommend that you read the book and I would recommend that you also think about that. Always be looking for the truth in everything. It's an incredibly powerful thing. 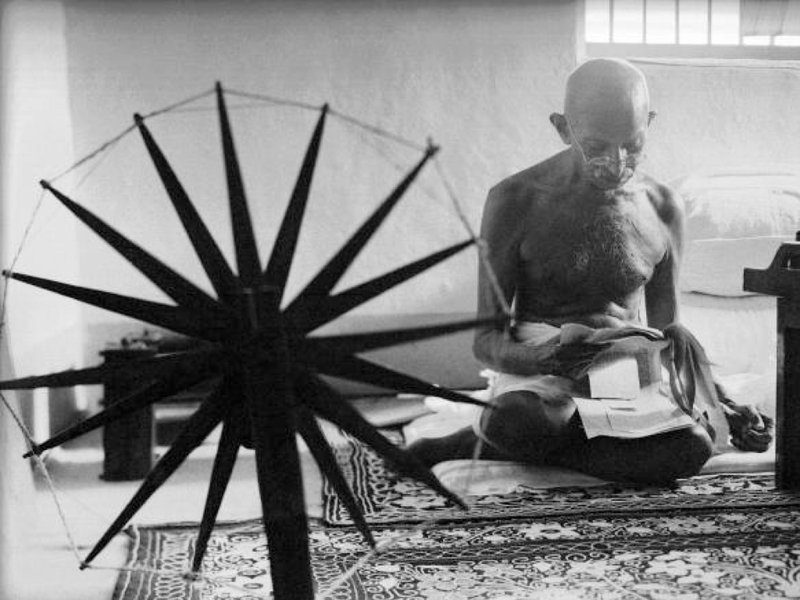 I was also inspired by Mahatma Gandhi, by all of the things that he did to bring down the British Empire. So a guy in a loin cloth making his own clothing, simply with communication skills, and direct action against things that were unjust, living by his beliefs, living in an ashram, growing his own food and feeding the goats and looking after the children and mixing all religions together and proving that it can work. That was an extraordinary thing for me and inspired me. There's a great story that Al Gore tells in his book Earth in the Balance, a great book, where he talks about how a mother came to Mahatma Gandhi with her son and she asked that he tell her son to stop eating sugar that was not good for him. Because Gandhi was such an important person the mother thought her son would listen. Gandhi said I want you to go away and come back in two weeks. They went away and came back two weeks later. Gandhi talked to the son and convinced him to stop eating sugar. The mother came to Gandhi and asked why did you make us go away for two weeks? Why didn't you just tell him to stop eating sugar right then? He answered, I had to give up eating sugar myself first and then I was able to talk to him about that whole situation. That is an incredibly powerful thing, that is, as somebody in an earlier session today said, be the change you want to see in others, as Gandhi is often quoted as saying. I have tried to live by that and I know from personal experience over twenty five years, it makes a big difference when you've done the work to actually put a wind turbine on your property and when you put solar panels up and you've been through the process to make that happen. So I strongly urge you to do that. The next big thing is, you guys are going to have children one day. I had a huge epiphany when my children were born. That is when you realize how connected you are to the future. We live, and once you have children you realize you live through your children and they are the next generation and the generation after that. 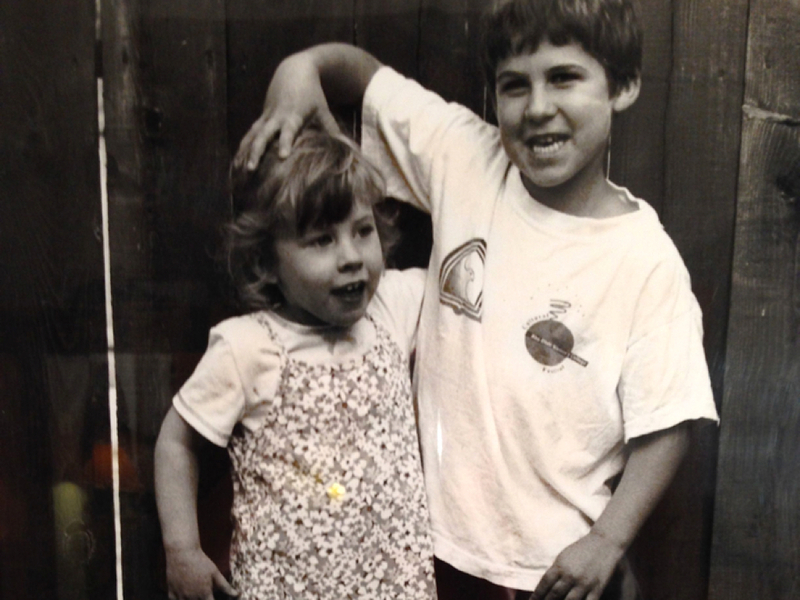 We are connected through all generations through our children and so I felt this incredible urge to protect them and to nurture them and do everything in my power to make sure that they had a world worth living in when they grew older and so that when they started having children there would be a future for them. You all are in that situation. It will not be long until you have this extraordinary experience of a child coming into this world and it will blow your mind. It sure did mine. At the same time my parents, who are wonderful people, they had a dream to have a beach house in the Dominican Republic. They talked about it the whole time we were growing up. I and so they bought a beach house in Dominican Republic. My dad is an engineer so I was always telling him how I read all these solar textbooks when I was going to school and I thought, you know you've got to put solar on the beach house. I think most dads would have said that you are nuts, you know, I'm not doing that, I'll put a diesel generator in. We were sitting in a bar on the beach and the bar owner came up and said I've got eight solar panels up on the roof of the bar, and I want to sell them. You want to buy them? My dad said sure we will buy them. They put thos solar panels twenty years ago. 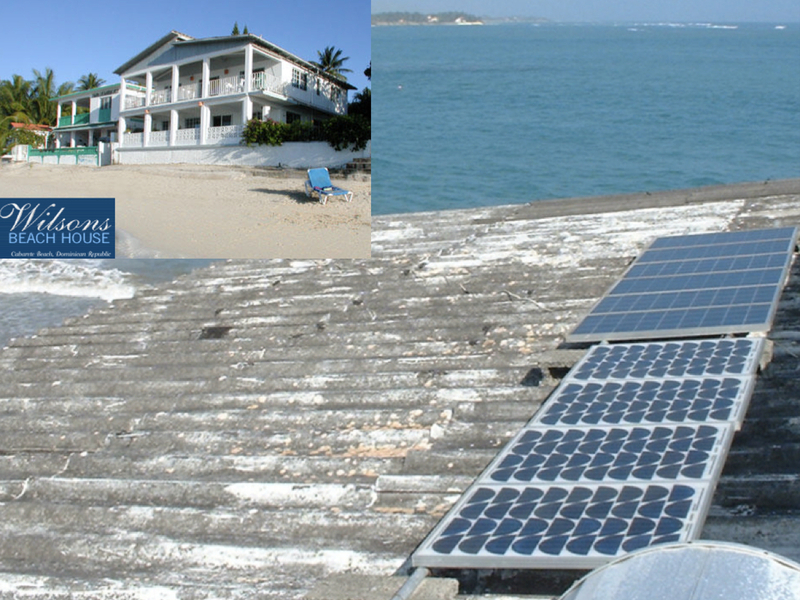 They were the only beach house on the beach at that time in Cabarete Dominican Republic that operated without a diesel generator most of the time. It was operated on solar panels combined with batteries. It was an amazing experience because despite the difficult conditions of salty air and so on those panels kept working. There's no moving parts. They provided the electricity when the power used to go out for up to eight hours a day, especially twenty years ago. So these panels provided the fan and the lighting and the cooling that was so necessary to operate a commercial operation, a small beach house. That was where I started to learn about how well solar panels work even in difficult areas like Dominican Republic. We had sixteen batteries and we had to maintain them and look after them a little bit. It was quite amazing how well they work. Around the same time, there was the Union of Concerned Scientists issuing this warning to humanity. This was in 1992, around the time of the Rio conference on the environment and it was a real clear call that all life systems are in trouble. The air we breathe was being polluted by carbon and other pollutants. The water. The biosphere. The animals and everything was in decline. 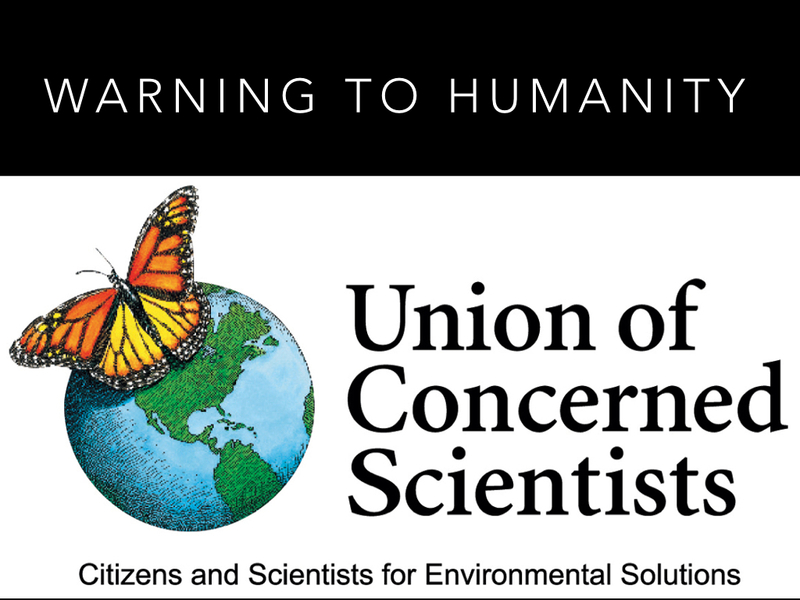 Seventeen hundred scientists signed this declaration, saying we had to act quickly, we had to act now. This was most of the Nobel prize winning scientists at the time. It was clear scientific consensus back in1992 that we had to get off our butts and start working hard now. That is what I started to do myself. For some reason the media seemed to miss this important story. This is something we need to figure out. When you're an engineer or somebody working in a field and you've got a problem, you've got to figure out what that problem is, what is the underlying basis of that problem so that you can actually solve the priority issues. This image of an oil tanker, there's thousands of these all over the oceans, shipping crude oil all over the place. This kind of represents our economy that we've created over the last sixty to hundred years, which is a fossil fuel economy largely. That is what creates this pollution that is causing climate change. So we have to make the transformation away from that as rapidly as we can. That storm cloud is really a representation of climate change. 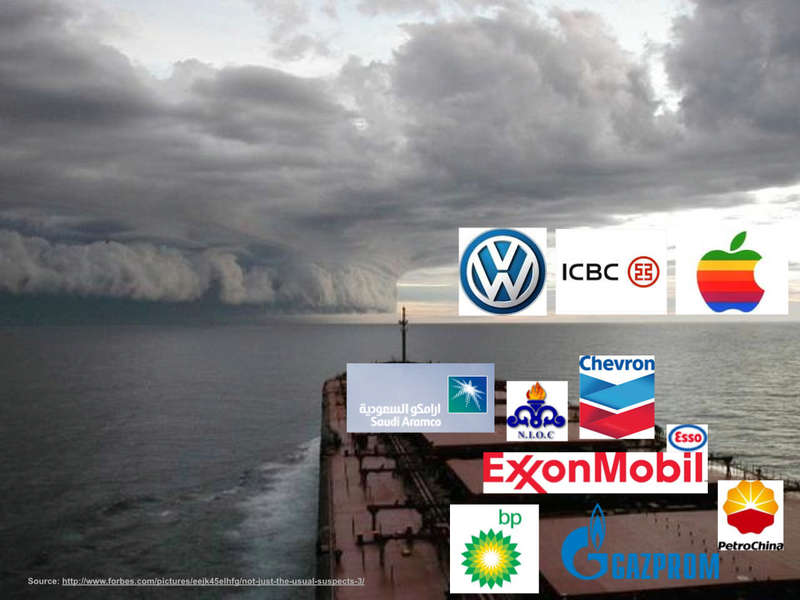 Of course these crude oil tankers are incredibly big powerful machines, just like the oil industry is. It is very powerful, it has a lot of momentum. It is going to take a long time to turn that crude oil tanker around. We've got a lot of work to do to actually make this happen. Let us break it down. 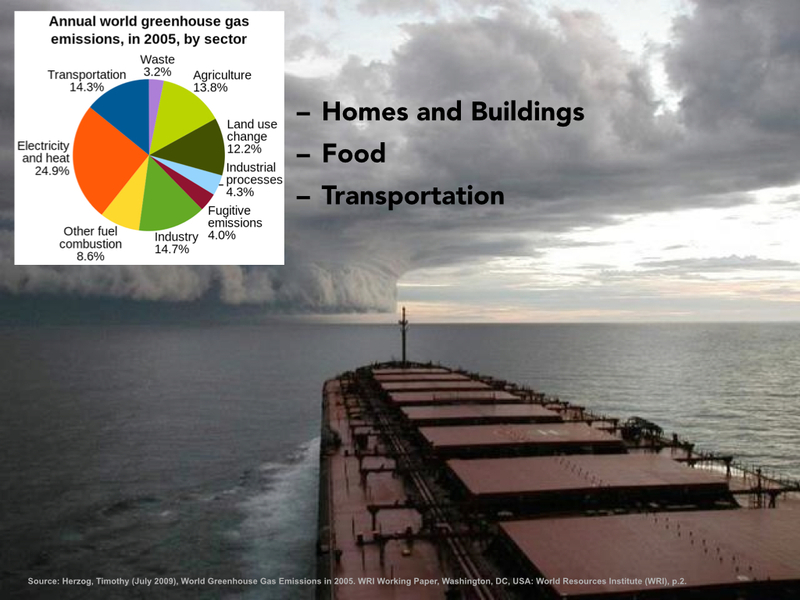 What is it in industry and so on that creates all the emissions and pollution causing climate change. It is transportation and agriculture. 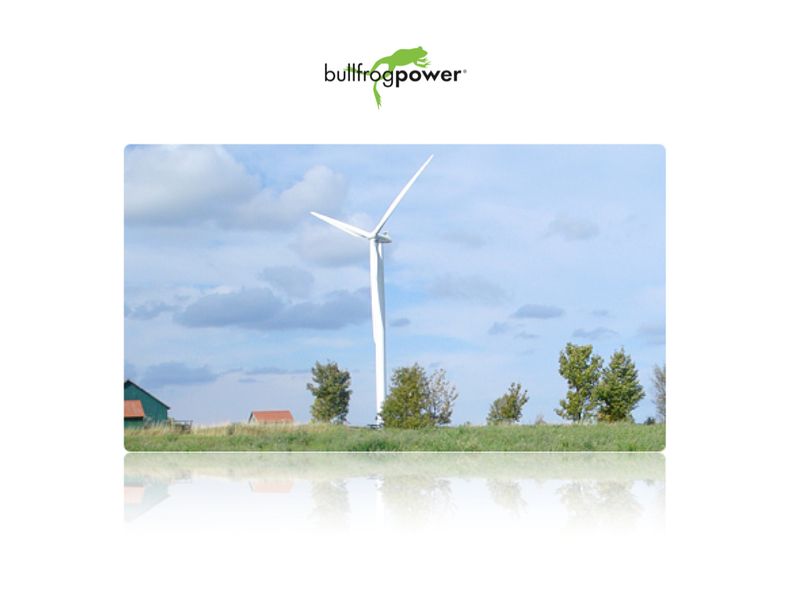 It is electricity and heating in all our homes and buildings, as well as land use for agriculture. That is everything. All our lives are run on fossil fuel resources. Everything in our homes and all the buildings, everything we use in terms of growing food and so on, and everything to do with transportation has got to be transformed to one hundred percent renewable resources and renewable energy. The question is how do we do that and how do we get confident that it can be done. We get out of there and we start doing it. The companies behind it are are pretty well known. I just bring this up to show you because it's important when you're looking at the problem, where the fossil fuels come from, where the carbon comes from, that you understand why it is so hard to move this tanker. Exxon Mobil is a four hundred billion dollar company. Every year they pull in those kind of revenues. They make forty four billion dollars in pure profit every year. You look at the Canadian government, just the federal government alone, it is a six hundred billion dollars entity, about in the same ballpark in terms of revenues. But the Canadian government is one point three trillion dollars in debt, and so you start to see where vested interest and economics plays a huge part in where we are heading currently. You have to be very clear about where different energies are driving things and what you are up against. That's what drives the current world and we need to address this in what we do. So I started by doing things. 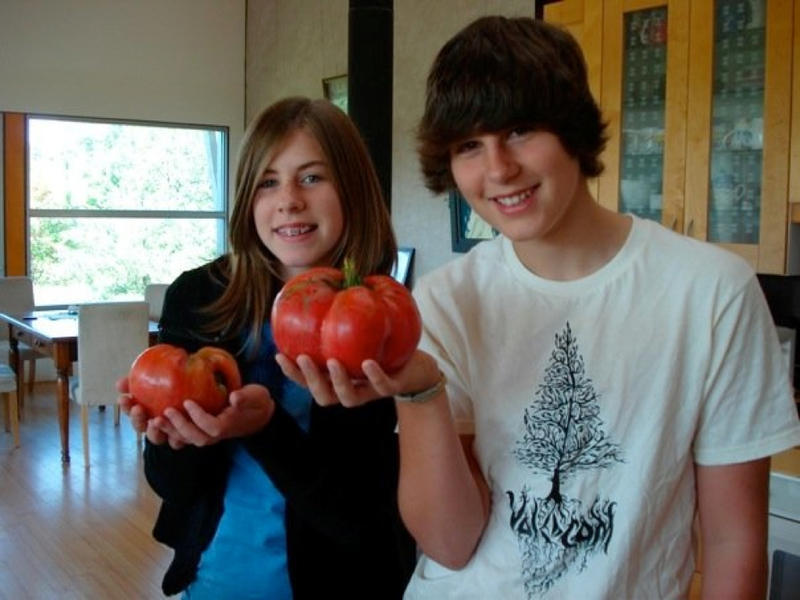 Leigh and I, my wife and I, when we were having our children, the first thing we started with was organic food. We would go up to the Carrot Common in Riverdale. 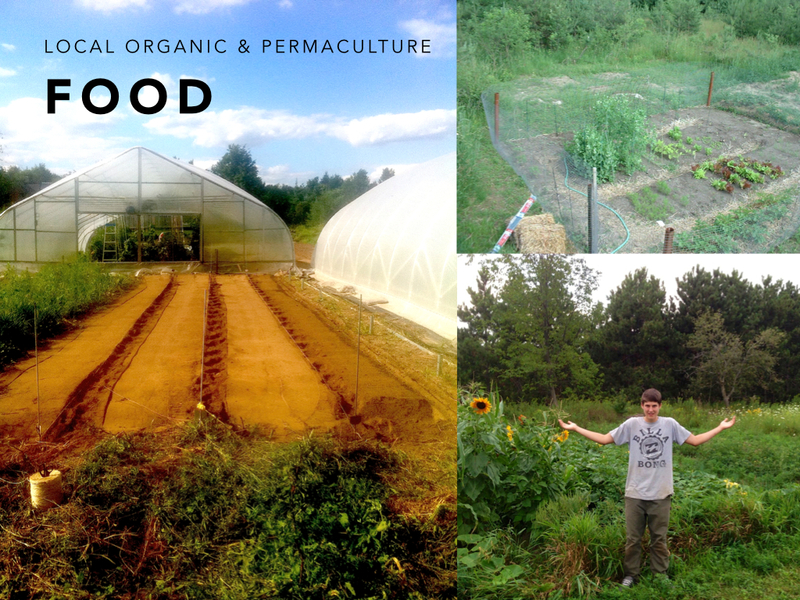 We would buy organic vegetables and we would mash them up and feed them to our kids. Really, that's where it started, with recycling and being very careful with all the resources and turning our heat down, but I had bigger dreams. 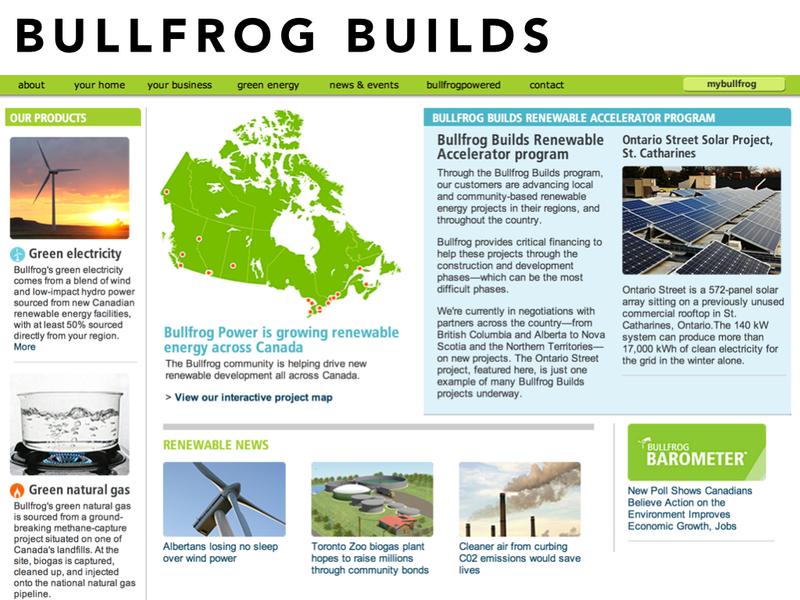 I wanted to build a one hundred percent renewable energy powered house. I'd been reading all the books about it, telling my wife, Leigh, and she would look at me and go well I don't know about that John, I don't see too many other houses with solar panels on them. If it was such a great idea, why wouldn't everyone be doing it? I had to admit there was some logic to that. Fortunately around that time, a number of years later, after our kids were born, there was the Toronto healthy house that was built in Riverdale. We had the opportunity to tour the house. It has solar photovoltaic panels. It has solar thermal hot water panels. It actually has two parts, like a townhouse, a duplex, two sides. One side was completely off the grid and the other was on the grid and running the meter backwards with the photovoltaic solar panels. 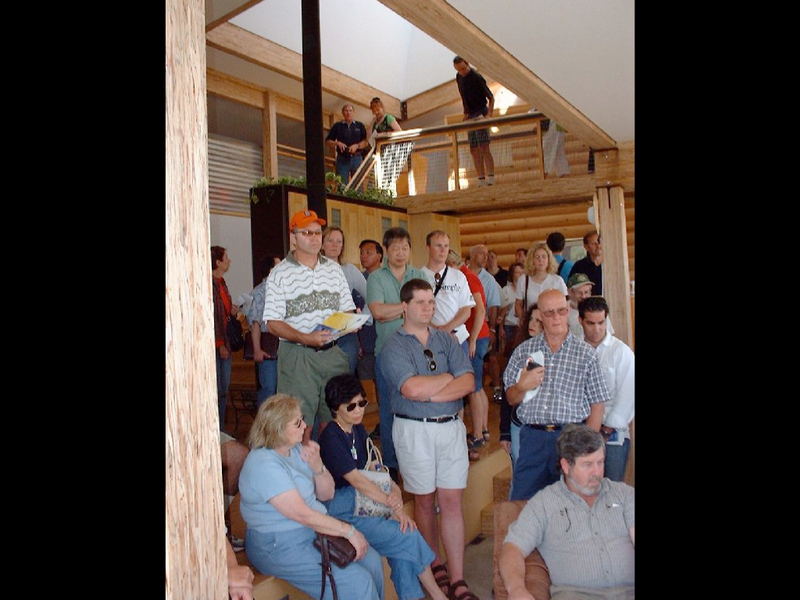 It was passive solar design, so windows on the south side, allowing the sun to penetrate, heating up the concrete floors on the inside. It was constructed largely of renewable resources. 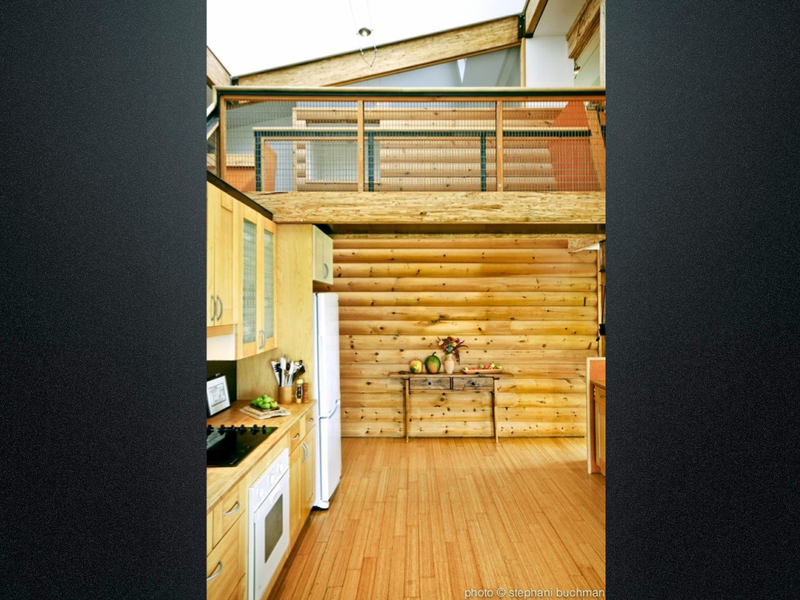 There is bamboo flooring. 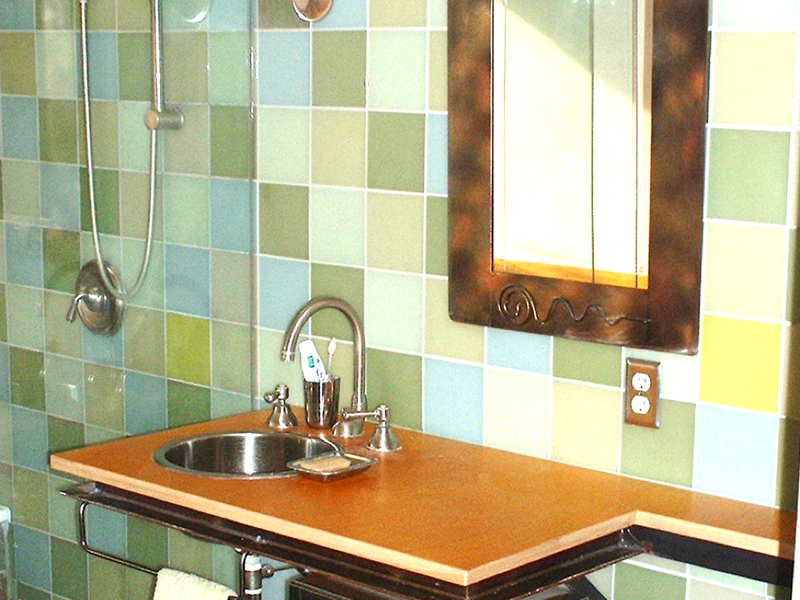 Countertops in the kitchen were made out of recycled glass. Leigh was starting to say this is beautiful. It's comfortable, it is warm and modern. I love it. So let's get going, let's start building our dream eco house. Before we could do that we had to learn a few things because we had the idea to try and use a waste material called straw bales in the construction of our house. When I first heard about that all I could think about was three little pigs. Didn't one of them blow the straw house down. So, I read a lot of books, that's what I do when I get nervous about a technology, I read everything about it. It's incredible, straw bale is better at resisting fire than conventional construction, it resists pests, it's just the most wonderful building material you can imagine. It's also a natural breathing wall so you don't need vapour barrier. It super insulates, but you don't need a mechanical heat recovery ventilator so it's super energy-efficient. As this experience showed us you can learn to do it yourself. 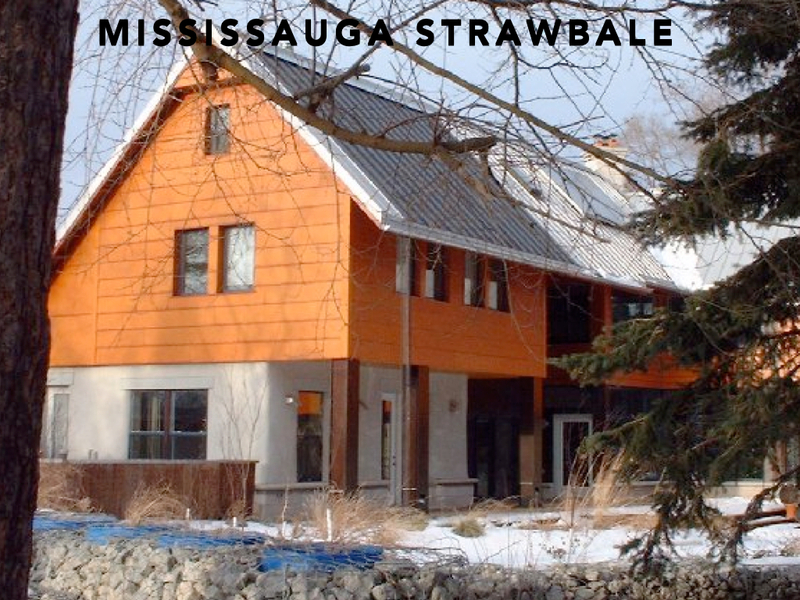 What we did before we were designing and building our house, we worked on a six thousand square foot straw bale house in Mississauga. This was three women who got together, combined their resources and skills, and they worked to build this house together. It incorporates thin-film solar on the top of the roof. It has solar thermal as well. Leigh and I, and our kids helped to construct those six thousand square foot of wall all around it over two weekends. So all it took was about forty volunteers who were learning as we were going, so it is kind of like an old fashioned barn-raising. We learned how to do all this in two weekends and all the walls were done. It is a very beautiful house, it is gorgeous inside. Lots of light. 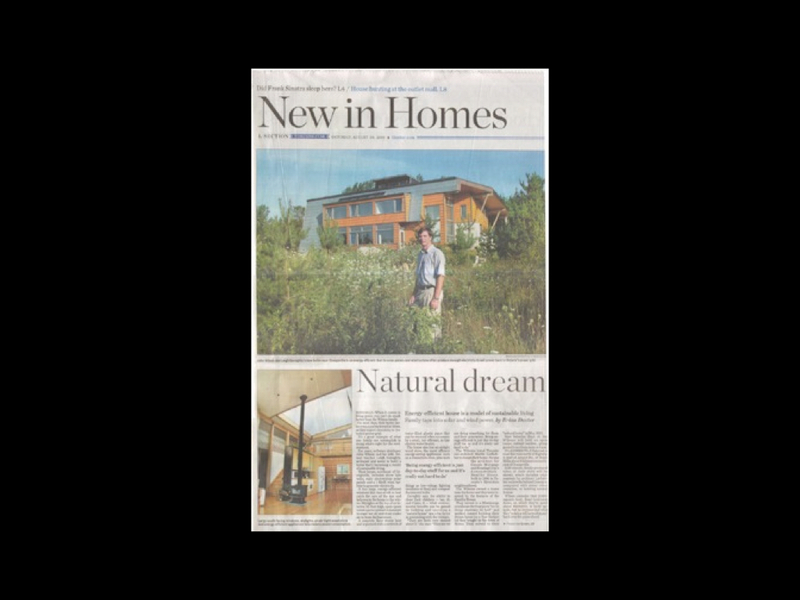 This is actually Martin Liefhebber, he is the architect, and of course we decided to go with Martin Liefhebber in the design of our house. 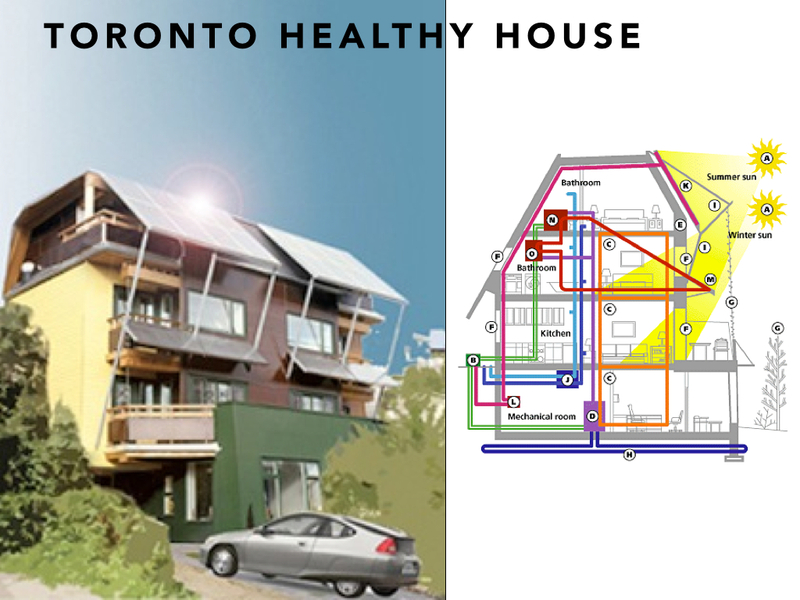 He also did the architecture for the Toronto healthy house. 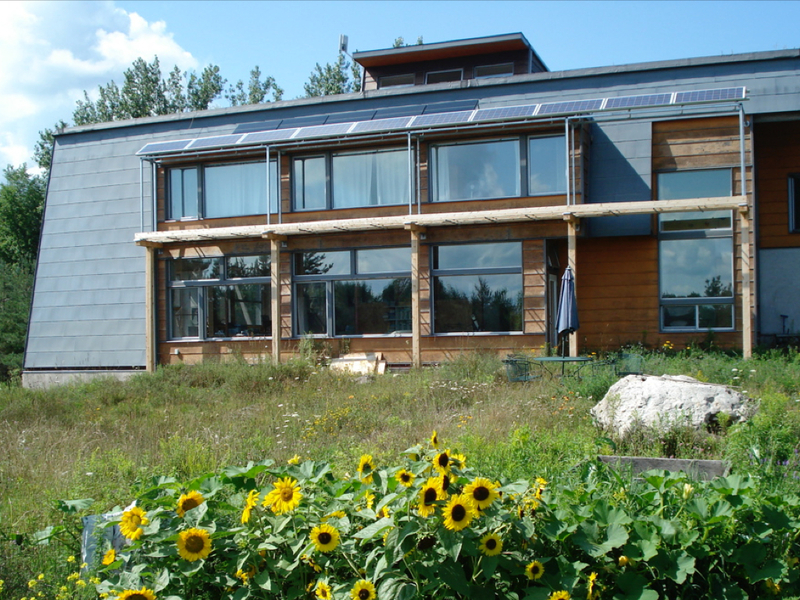 The design of our house started to take shape, and it was something that Leigh and I had dreamed about for many years and so you can see here that it is a passive solar design. Sun comes in on the south-side, the concrete floors heat up. That is our main heating source. The goal was zero fossil fuels. 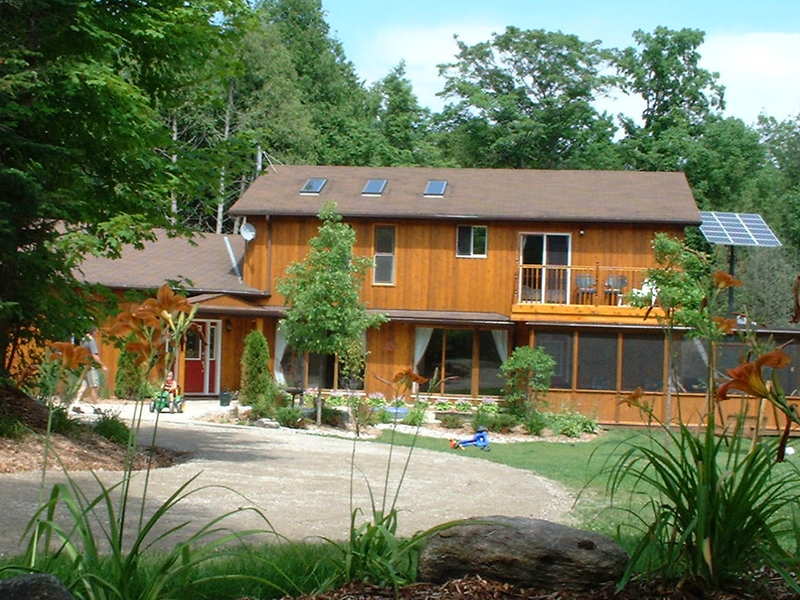 One of those questions for sustainability is, can you make a house operate in Ontario without connection to the natural gas pipeline, and without oil or without a generator and the answer is yes. 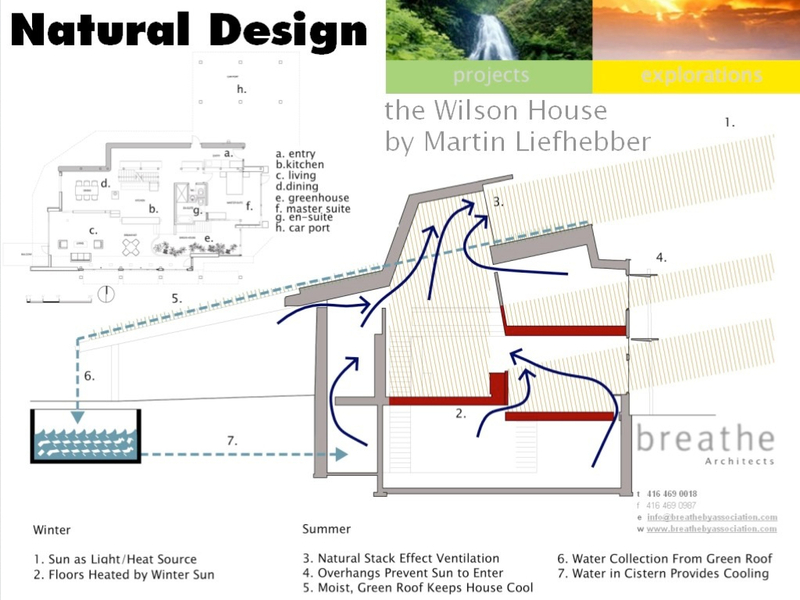 We imposed that on the design, so there's no furnace in our house and it's primary heating system is a passive solar heating system. The windows on the south side, about seventy percent of the south side is windows and concrete floors absorb that. 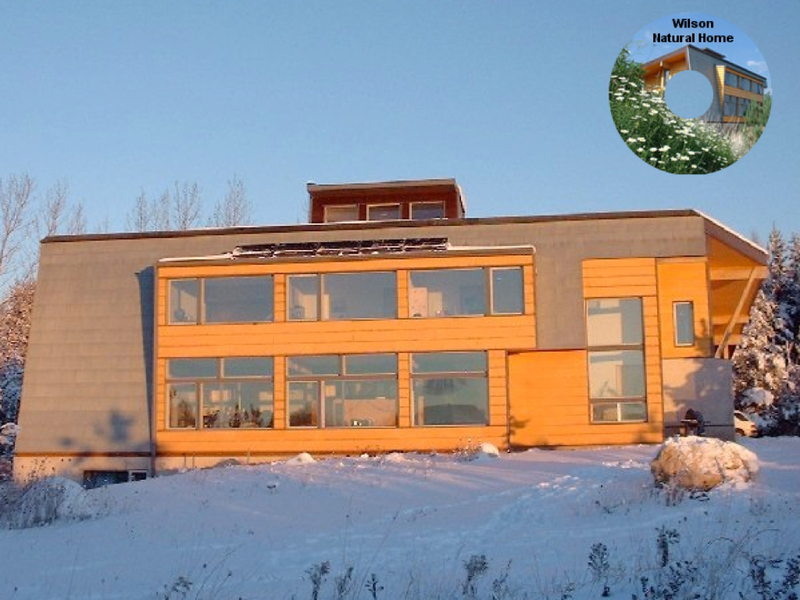 With a solar heated house what you also have to worry about is overheating in the summertime. One of the things you do is build awnings. Well if you are going to build awnings they better be solar panels. The plan is to use solar panels to create the awning. 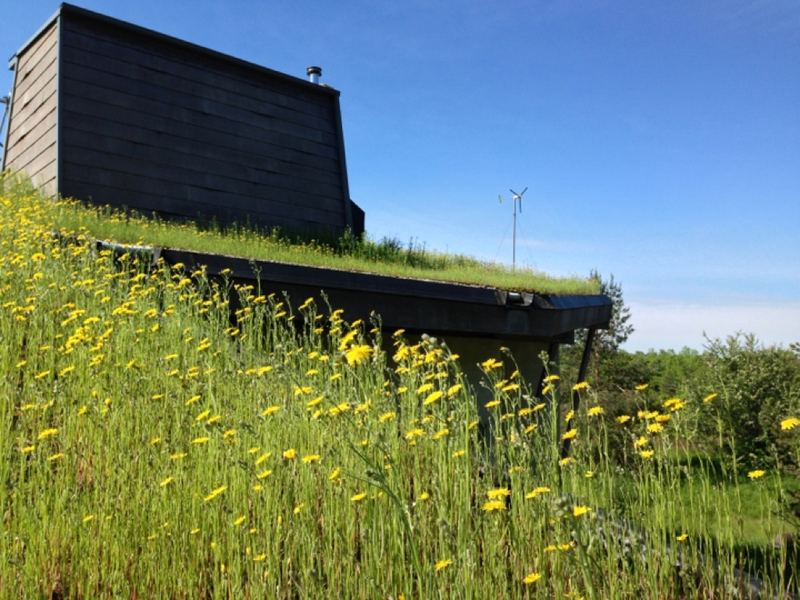 Then you put a green roof up on the roof. You use the soil that was taken away from the foundation area and put it back on the roof. That's the way it should work. Then you grow native grass on it. That's a natural air-conditioning system. Then you look at how you keep a house cool in the Sahara desert. They use these towers, so they open up a window, up in the top of the tower to allow convection to draw the hot air up to the top of the tower, warmer air rises, so we use a Sahara architecture to cool it down naturally, along with the green roof to really keeping things cool in the summer and of course green roof adds insulation making it warmer in the wintertime because the snow builds up extra high in there and adds additional insulation. 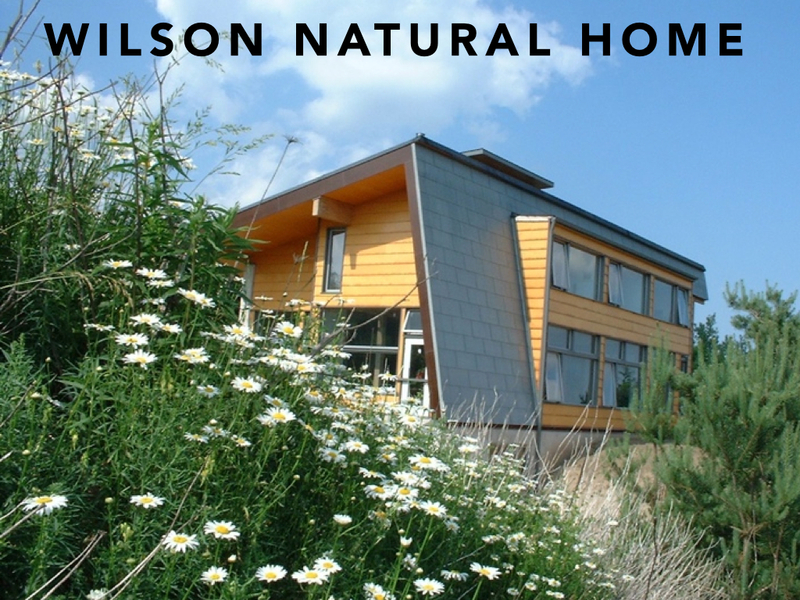 We've got the ability to store all of the rain water that comes off the roof and you'll notice that all of the utilities are on the north side where the straw bale is primarily. All the other insulation that we use is mineral wool, which is a waste material as well so you can see we're starting to use, reusable, "waste" and natural materials, and all the building materials that we possibly could, and for all of the sand in the stucco walls and concrete was from local sources, right in our back yard in fact. 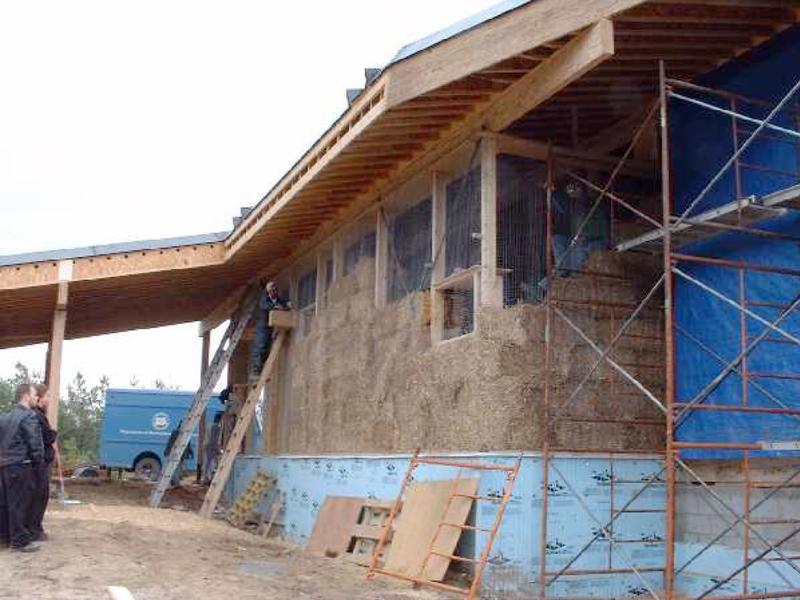 This is the construction of our straw bale house. It is a very simple, do-it-yourself, open-source concept. You start with the straw bales just like a brick wall, offsetting the bricks witch each layer as you go up. Then you use chicken wire on each side, staple it on the top and the bottom, and then sew it together. This took us about one weekend with about twenty five volunteers that we had who were teaching at the same time. Our kids helped out. The following weekend we did all the stucco plastering onto the straw bales, two layers. So it looks like a normal walls. We've got the most beautiful walls in the world. 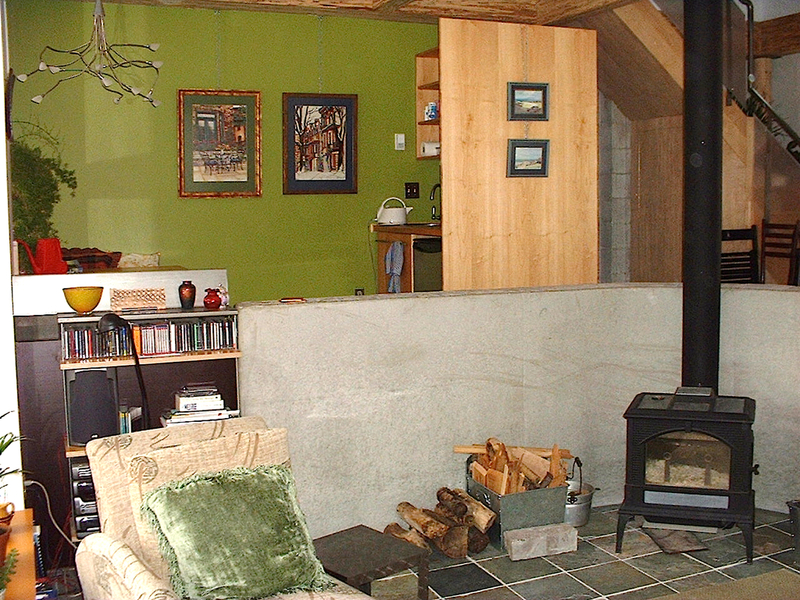 These walls provide R 50 insulation levels while still being a "breathing" wall improving indoor air quality while still providing hight insulation value. So we have a super insulated houss built with straw bale from a local farmer. For some reason at the same time I found myself addicted to television. I kept saying up late at night, watching, you know, I didn't know why. I felt like I was being brainwashed in some way. Advertising, especially during the Olympics, there is so much advertising every two minutes, there is an advertisement on.These ads are penetrating my brain and making me think this is what I need. To the chagrin of my family we cancelled our TV subscription when we moved into our new house. Iit was a really great battle, one of the greatest battles our family ever had. In the end we have found living without TV advertising gives us more time for other things. Now with the Internet it is not so easy. 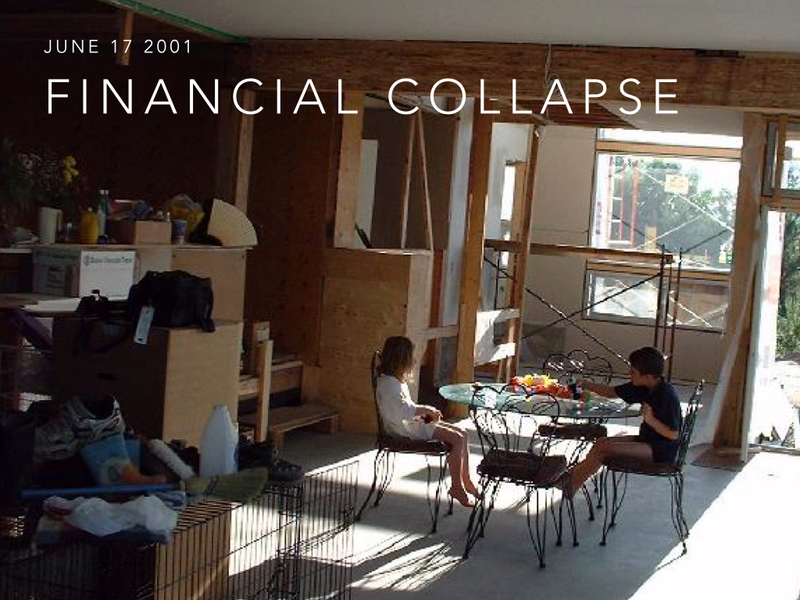 It was ninety 2001, just as we were try to finish the house, the entire world market economy collapsed. All the money that I was expecting to earn at. the financial services company I was working at suddenly disappeared. 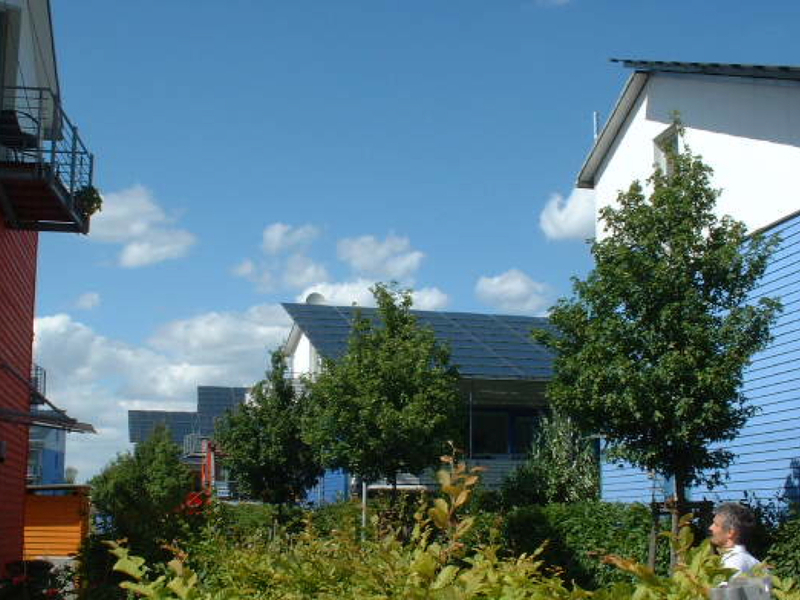 The good thing with the solar powered houses is that you can be comfortable without any energy being consumed. So we hunkered down lived in the house even before construction was completely finished. We saved our pennies and we all did what we had to do to make it all work, and we got through this tough period. So then we survived the next six months a year. 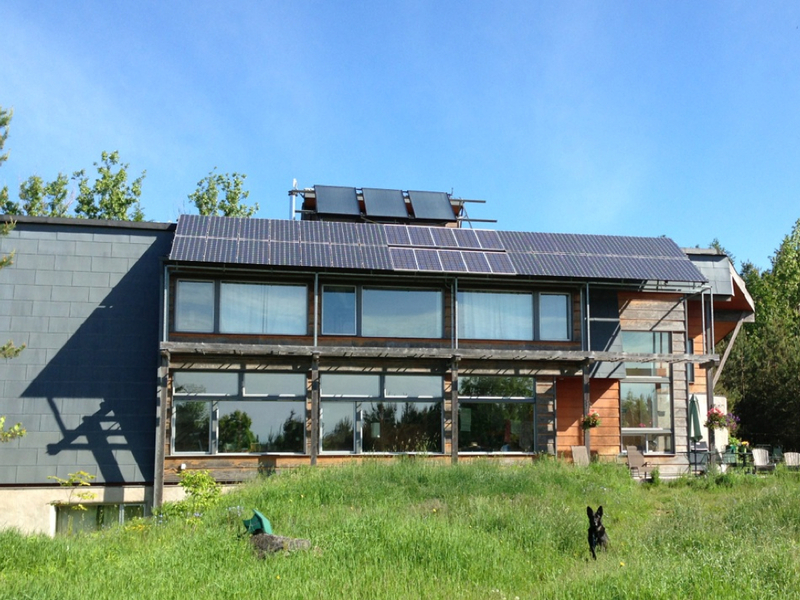 We were able to finish off some of the construction of the house and I started working on a documentary video to tell everybody about his incredible house that runs on one hundred percent renewable energy. 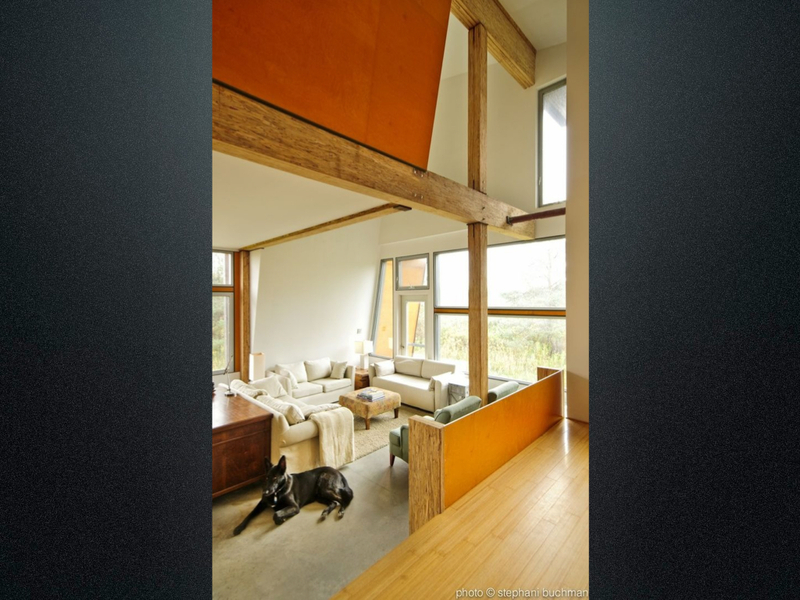 These are some of the pictures of the inside of the house. Lots of light, super comfortable all year long winter and summer. We've got a convection oven, superefficient appliances, and all the bathrooms have opaque materials so natural light comes in. The central tower is a skylight providing light throughout most of the house, so mostly natural lighting everywhere you go. Then in the greenhouse we built a little climbing wall, so it goes up about twenty five or thirty feet. You get your exercise and have a little fun on the climbing wall in the house. It is a really fun house to live in. out of eleven really love it is the green roof submariner is amazing. I is exaggerating the house nice and cool in the summertime. their Great Lakes makes up therein and it is the home maze design, so we might synthetic rubber on top of an industrial room and then we put health and membrane which is what you wrap around most houses and had every barrier and then I I had to put all the soil on top. so all the soil that we back up and around and took me about three years likely this summer in my mind that held my kids, but it was like three years of wheeling the soil up you started a bona fide panel like a single room and you go up and up and up and it was like literally moving a mountain and it was horrible. I hated. I was in only two years unless it is really hard to realize is fairly see greenery of the people I no-brainer there was that the but it actually works quite well because the drain is actually the letter anyway. it was an incredibly difficult experience, but I love it out there now and it is lit was literally like moving a mountain and not many people can say that Donna. you'll also notice over in the business league, we were able to find enough pennies another year later in two thousand to two thousand three at we got enough money to put in a wind turbine, so we had a wind turbine for the last ten, eleven years and so I know we do chores every year and is great to have people come up and listen to all the you know the noise and see how the birds like it at all. as a result very familiar with all those issues and others about a hundred feet away from my house as well be put up some solar panels and actually deserve. There's about ten forty one solar panel, and either directly to one another. I took down and is actually on the solar charging stations these days recycled panels and use of brotherly, we've grown our solar system is that in these days. it was early days it was only about you by ten other people that it put solar panels on the roof and a wind turbine, your breaking down a few barriers and you know why that's important. some of you don't be like me. in the event of a pioneer if you look at the return on investment is a system. it was seventy years. basically, it's always not a great investment by somebody has to go first. you have the breakdown of areas with a high growth companies the electric utilities. and although certain things got his start by doing it whenever we cancel the only way we could with my running the meter backwards and so your bill is reduced by so the sun is shining, the winds blowing and it actually is generating more than we need in the house. so what happens is is going into the grid and the meter actually in those days they had a little desk, it would start to run by are not broader utility bill down and saw it was, you know, some payback, but a very slow one, but it was also great because I was able to write you a documentary on it so you can find a U2 health initiative, but it's at about one twenty five minute video that explains how we know the straw bale house and a lot more detailed interviews with our architect, and so on and so I also was starting to do chores in the house so getting people to come up and will have, but they were never coming the kind of numbers that I wanted. It was always sporting a young, hungry year and that is you thousand three, we had the blackout. and you know when you have crisis. that's when people start to think about these things in his is a human trait. I guess, but in this particular case was quite valuable to me because the Toronto Star center of our Robin. they did a whole bunch of new pictures and wrote a great article and said what vital wait on doing a tour in three weeks so you know, everybody is running a mile and see what is solar house looks like I was pretty excited. I know what it meant, but we had a lot of people that year, I can tell you I think there was one thousand eight hundred people came through in one day and they were amazing and they were asking all great questions about, you know how much city cost of the solar system and how much the cost of the wind system, and what were the issues and you know as great as it was seldom in customer you know: the winter. my lookup is going full blast you with the noise and they all would go away and over the years regarding many times note thanking me profusely. so again, you know, if you do these projects. if you know you're being the change share that experience. let others into your lives in the next and what you've learned and how it all works and make a big difference. spend something to think about and ask yourself, you know, how does that make any sense. globally, it's probably about three hundred billion in subsidies for fossil fuels about what the renewables are up against him. that's what Leonard Olmstead is I'm trying to sell renewable energy. I don't get any subsidy at all. they get billions of the very difficult market, working and ninety seven Freiburg Germany. I just got back from there and they have solar panels everywhere. there's wind turbines everywhere you go in Germany and people say we love them, and they're making money with it, and he's the one you got to go see this and you got to show people in it you'll understand what's, what's that all about Germany has less sunshine and honestly in the West Wing resource than the wife can we do this is there some problem with us. is one of my favorite parts because Leon is more of a solar factory, so this factory in Freiberg is entirely covered in solar panels. it's completely carbon neutral factory and introduces solar panels, so most of you probably know, like solar panels and wind turbines. they repay their carbon that from being manufactured in anywhere from six months to a couple years, but when you build them in a solar factory. when you build solar panels in a solar factory. 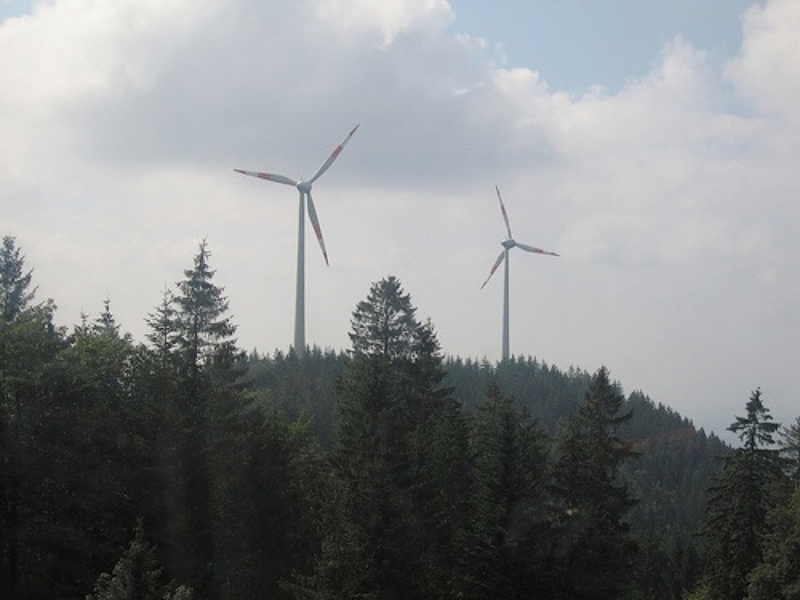 this carbon you know, control, already when you build wind turbines, and that you don't have to enter immediately in a carbon neutral situation creating renewable energy without any carbon that. and so these are incredible examples of what all of us can do you know anywhere in the world. we have better resources here. 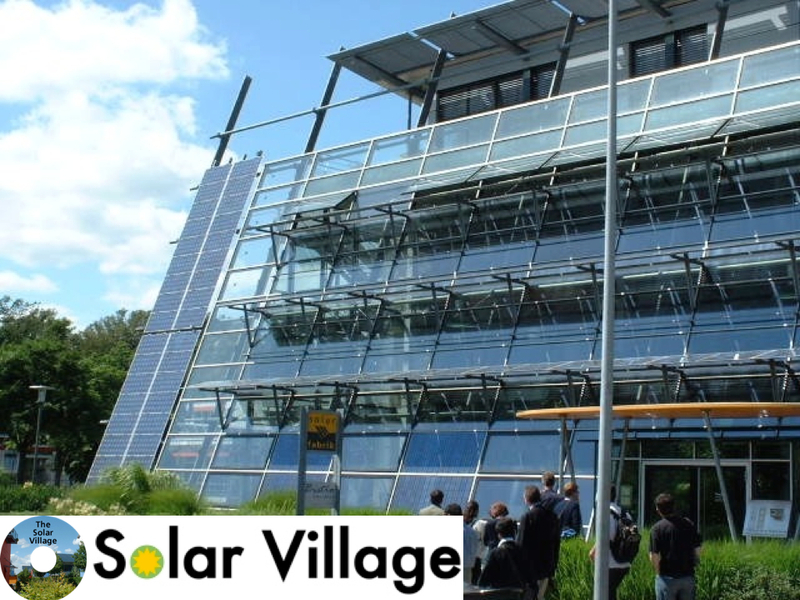 so our challenge is simply to go to all the details of that great trip to Europe are in my documentary called solar village again on my website arguably later on, so check it out. the next thing is what you do you learn about all this stuff. then he got to start raising a fuss. you got how everybody. so what a night. called up the Minister of energy and I said no. I want to meet with you and tell you all the spring supper just learned about Freiburg and how well it works and how you can implement it, and Dwight Duncan was administered the time didn't actually have time to meet with me. 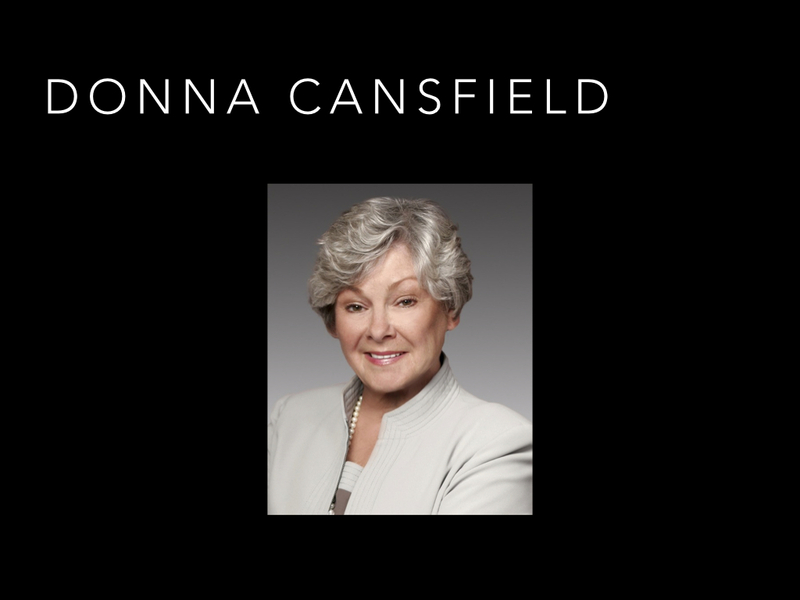 many of me and talked with Don and steel, and I sat down with her in two thousand five I was actually interesting timing that was just about to start a new job at both rock power and so I remember,- the president of bullfrog and you said. while Messieurs. 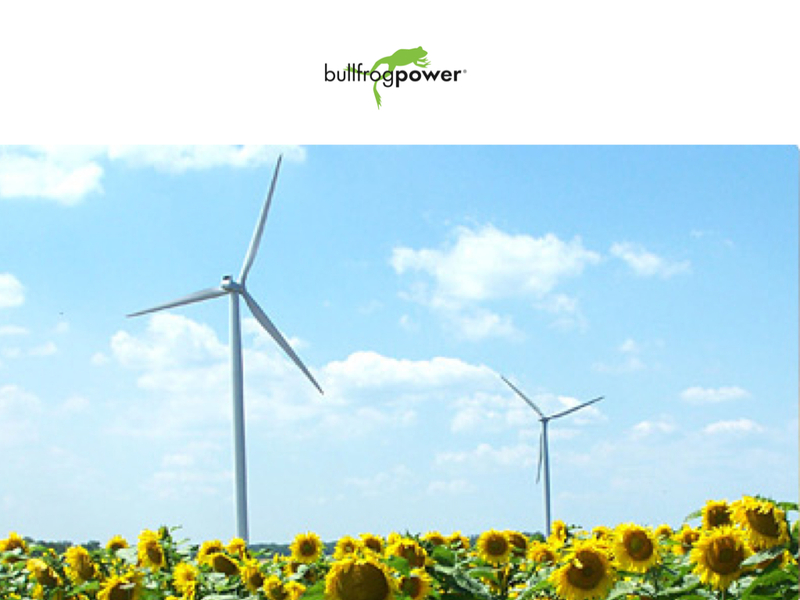 the government is leaving room for the voluntary market were to build a hundred percent renewable power. I organize, create a market for renewable energies at the same time was also telling her how the Germans had implemented an entire install led by or seeing you notify to simply having a price that is reasonable or making a return on investment guarantees for twenty years was the risks onto the developers in a well, and the communities mobility project and I can still listen and she says stay in the highest. I love your ideas were to try and work to make sure that all works, which is the deputy in a minute, serenity, so I will ensure where all dollars ago. so what happened was she became six months later, she became the minister of energy and to her great credit, she implemented that you did Sharkey put in the resolve program, which is a unitary it doesn't happen during your directly with my conversation with her many, many people were coursing for that, but it does make a difference. you have to put your politicians to do these things called on and talk about our porcelain you tell a politician to do that better back it up by following up yourself and you know implementing solar on your results. we one. two kilowatts of solar on the reseller program forty two cents per kilowatt on that solar program get a better return on investment, and you're the first one was seventy years now are down to twenty years on, according to send a feed and care of for the solar panels we did so of course we did it. burning your twenty year return on investment is getting better. not great but it's still the right thing to do is start to look pretty cool to the bank. I started on a the ultimate experience. my dream job. I been trying to find a job at a company that aligned with my values and bullfrog came along with Greg Kiesling, who is the chairman and the person with the broad money in the marketing smart and they are- was the president who was your hard drive genius of brilliant guy, and three other incredible people diverse talents came together September two thousand five after three months getting together starting the company launched the company to offer a slice that was a simple idea, just give consumers a choice. there was no choice of the time you were hooked up to Toronto Hydro Hydro one, and that was it. so the idea was for a little bit of extra in a little more detail little bit more recently dollars a day extra for the average homeowner and you have one hundred percent guaranteed from wind turbines were small-scale high-growth eagle logo certified sources. additional to anything the government was doing and be a part of that revolution of people laughing. we recently were not sure if we would make it through the first year when people pay more will they did, they started signing up really fast and it was an incredible experience and you know this is a turbine if actually we started buying from it on the Bruce Peninsula and Leah and I and our children each year passes turbine on our vacation each year and it was always wondering turbine and bullfrog started buying from Mister Vining, let us hope without there and without any is. and will not only do we all were the number of the one hundred and green electricity. Aubrey, we now offer green natural gas to residential customers and commercial, and we do the in Hawaii, the ways that you have your know your way from your attention is on any of the process in a biogas reactor. 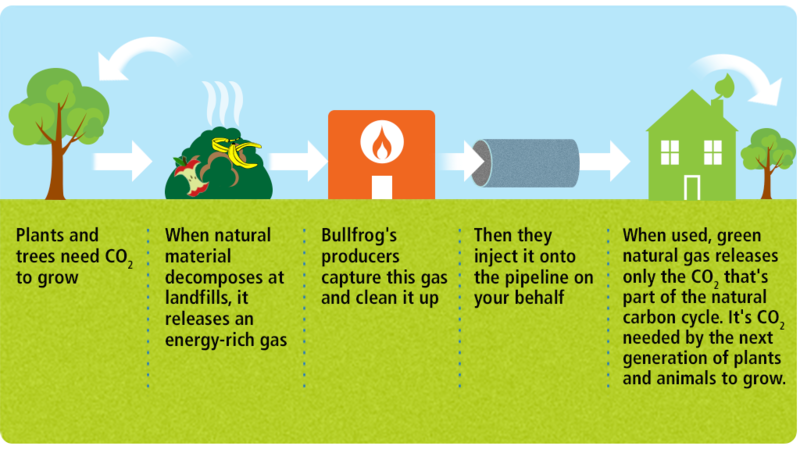 we learned about some of that is in one of the Berkeley group today and then cleaned up to the quality of natural gas and is looking to entire nationwide gas pipeline and so that's how we can offer our largest companies and consumers the clean, green natural gas product that is carbon neutral. there is no additional omissions because the carbon is locked up in the product that we as the closed loop way of producing natural gas heater home so incredible product and was also an extremely powerful is just like offering that choice and and also arranging it in communicating the value of renewable energy in a very clear way. very broadly, we've been able to get on board is very large companies in Canada zone very early on one of the first companies inside of the Royal Bank and they integrate customers beginning in the doing no more and more branches coming on board bank machines screens in each of the branches. nobody only have Walmart come on, and they are getting bigger and bigger. they got ten stores are operated on one hundred percent. one of the biggest purchases of green energy. 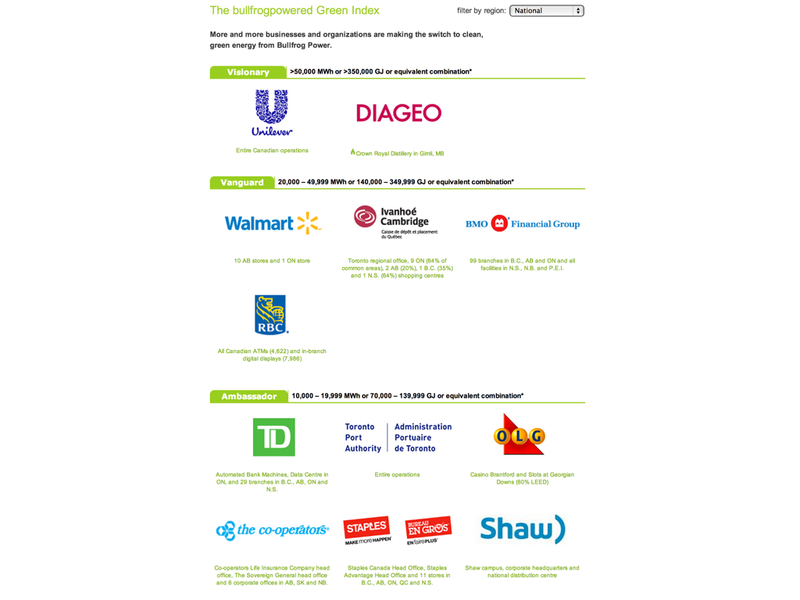 every animal and then Unilever .com or their entire Canadian operations are running on one hundred percent green electricity so the companies using massive amounts of electricity are making the switch to one hundred percent green energy. anything solid business can make a lot of difference. this sends a message to you. no, not as other companies but politicians and consumers that you don't want to be companies that make us wait and they are is good for business. it makes sense. as I said in two thousand eight, I was fortunate to be a world wind energy conference with David Suzuki presented in Hermann Scheer was there and the great thing about what Hermann Scheer presented after you know I learned all this about fiber to pay and presented any talk about how we make renewable energy 's biggest priority and everything we do, but then he said something really interesting is that think about Germany over the last fifteen years, I've put in about thirty thousand megawatts of wind energy. over the last fifteen years, using the entire Ontario needs about twenty five, thirty thousand megawatts of production, possibly so if you say what Germany did using it needed to start with we already have easily get to one hundred percent renewable energy in Ontario if we implemented it into the same way the Germans that we could achieve that by ten years. it's completely doable. 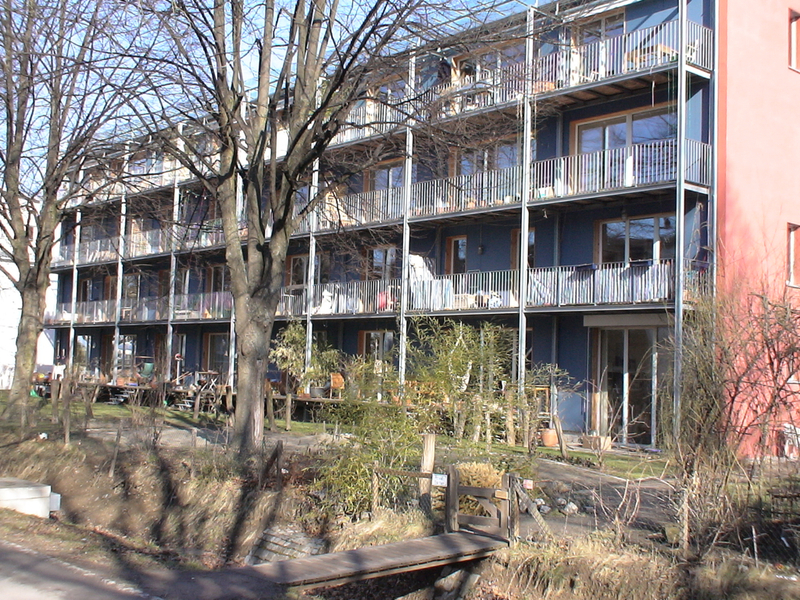 Germany proves that so it is actually very feasible to do it just have to be marked about how we implement these things of the few problems in the way we thought it is that the fix those things that we get one hundred percent renewable energy documentary about sixty minutes long. 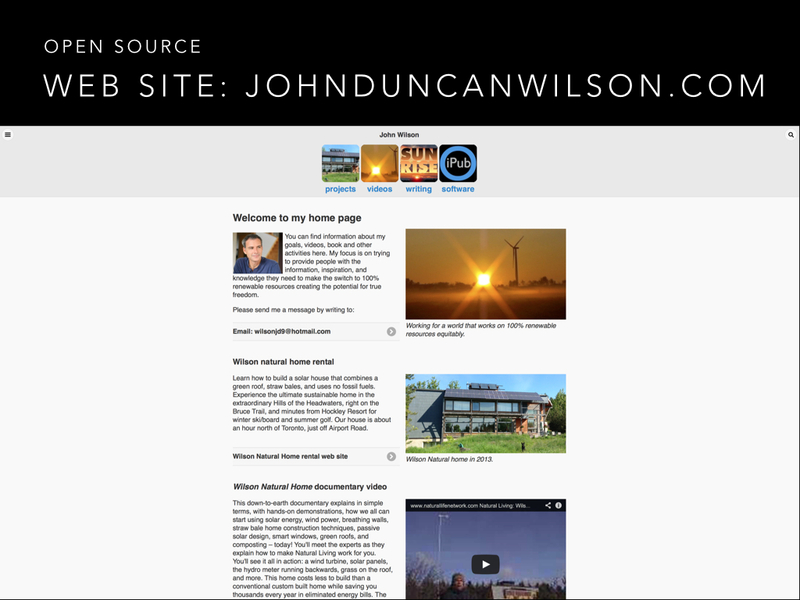 there's hundreds of other information on it and it's on my website as well. but it is very me got to do more. so what I've been doing as I went down about five years ago I went to Canadian tire upon a solar panel. I bought a charge controller and inverter and a deep cycle battery, all those things are available at Canadian tire. I think the idea of solar, later, anything white family have solar computers will possess and I run my computer weekly, off solar power, and I brought it to work and the people got interested, but we got anymore. so I asked I actually bought a very old of the nineteen ninety four, fiberglass, phone thirty five feet in height. you mean engine and but we can run our engines anymore gasoline. we got switched electricity and so I took the gasoline engine. 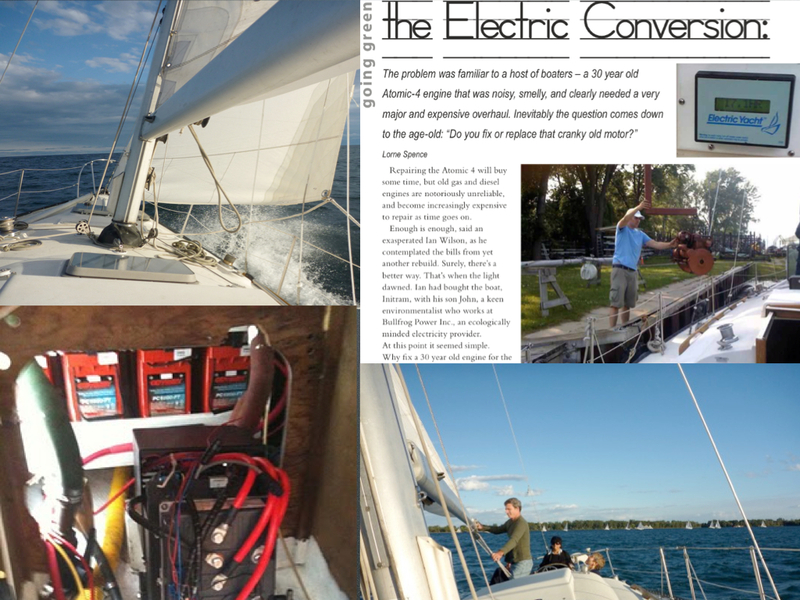 we put an electric motor in which some big batteries in four years, we've been sailing mostly. 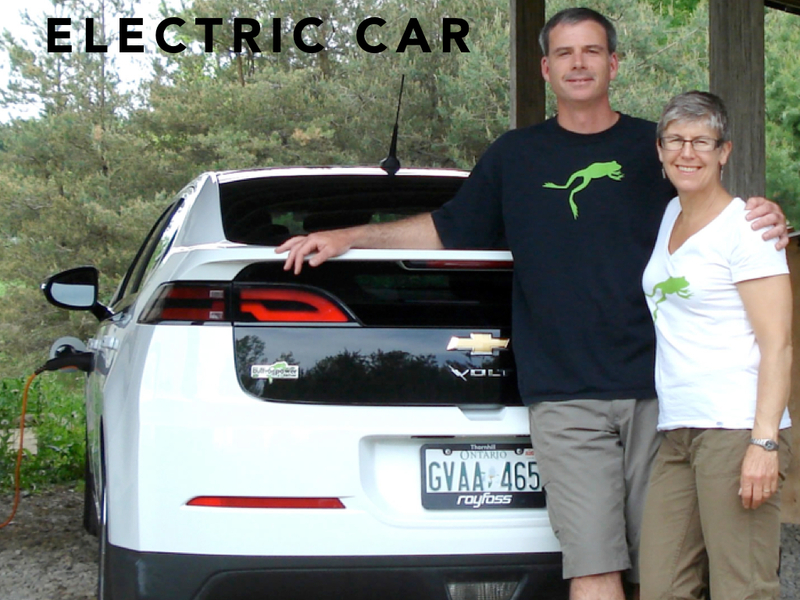 but when we do need to motor you got enough power to go across the latest electric motors are incredibly powerful, quiet, they don't believe we got it from bullfrog power in terms of the electricity that we used in charge about and it so easy to maintain his weight or maintain that gasoline. but it doesn't stop there. 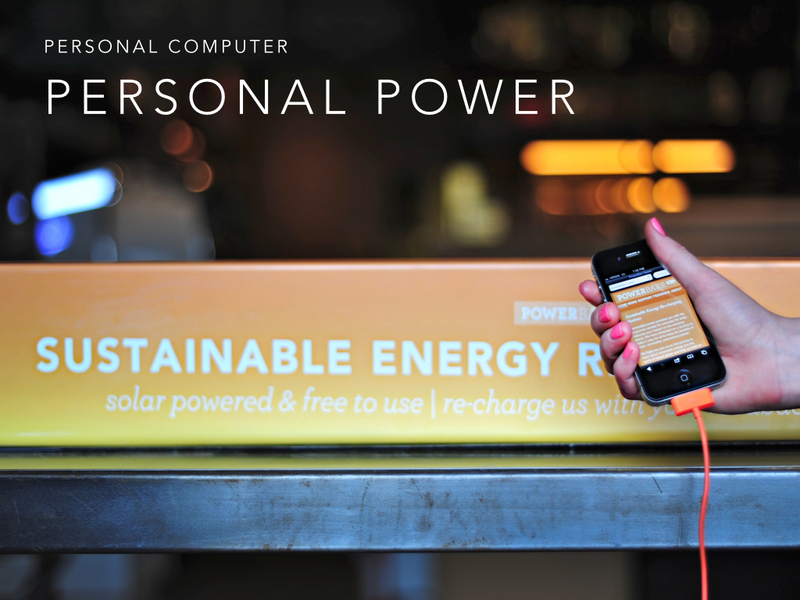 you know, a big part of what's consuming electricity is our cell phones and other devices and so that's why I started this project with three other friends young people of the age of most of the people in the here to start a way of charging your cell phones and so on with our power, our product and so we developed that we did crowdsourcing funding. we use open source technology triangle is out reviews, renewable materials are recyclable materials, mainly aluminum the best illuminating get is from reason, I recycle resource because it's much less energy, glass, and so on. 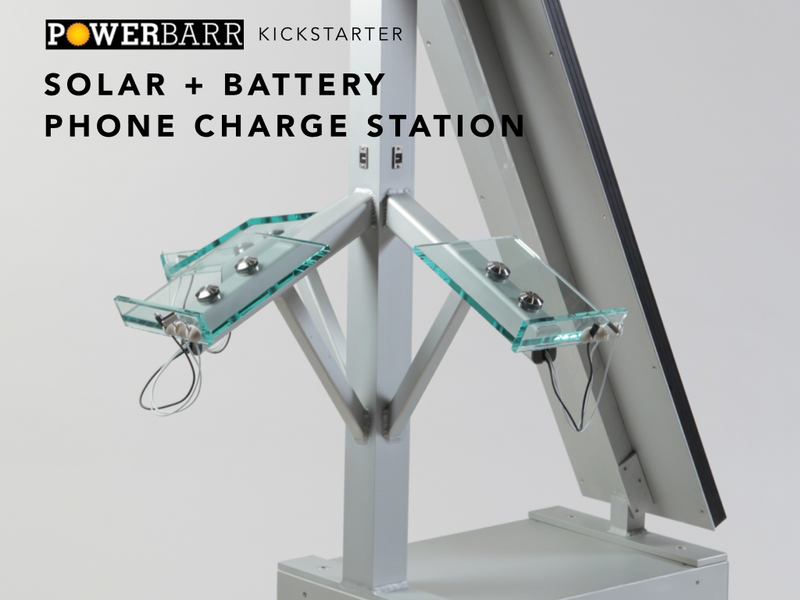 and all of the panels can be recycled as all the batteries are also must be recycled immediately start her campaign and we raised seven thousand dollars to build two more for the prototypes in the lobby was building a couple more and were we did a lot more. this is our house after twelve years. we now have six kilowatts solar on the awning and earns about five hundred dollars a month for a annual return investment is around six to ten years depending on how the production looks like and we got solar thermal, so things don't happen overnight. you do what you can. I can do it. sorry, yet incredibly profitable in twenty years will go off the grid in the lithium batteries will be there will have zero going over the hundreds of renewable energy.